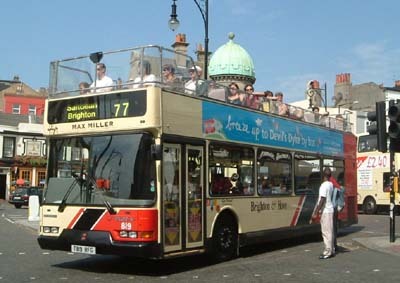 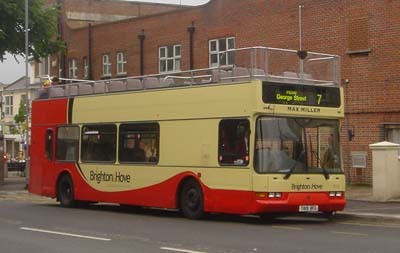 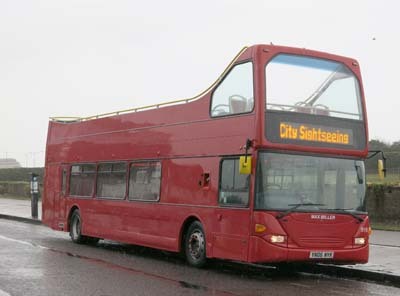 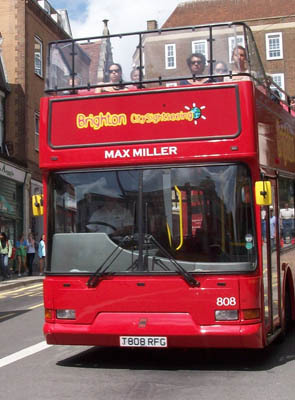 819 Dennis Trident convertible open topper - carried name since delivery in May 1999, changed to Micky Adams + Bobby Zamora during May 2001 then back to Max Miller. 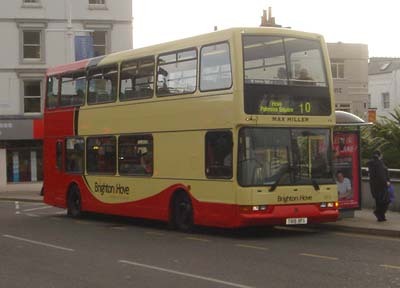 Repainted in the new livery from November 2004. 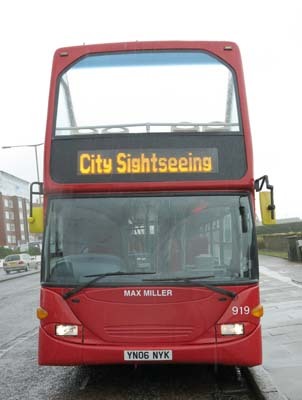 Repainted in allover red in April 2008 for City Sightseeing Tours. 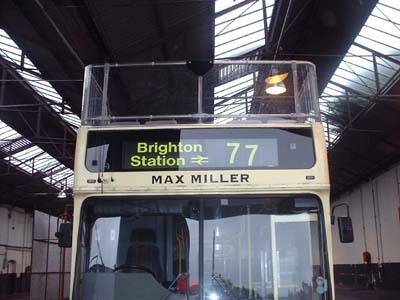 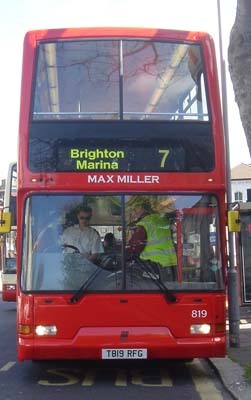 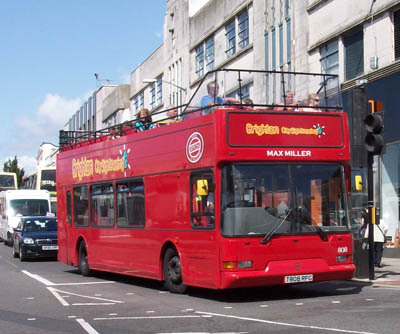 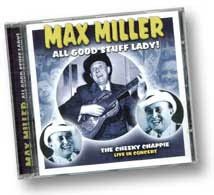 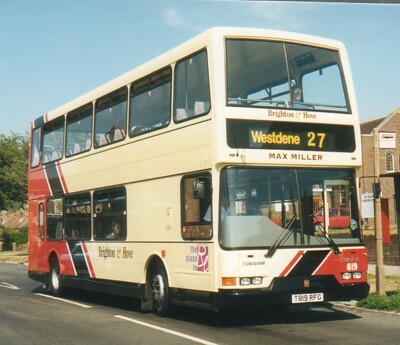 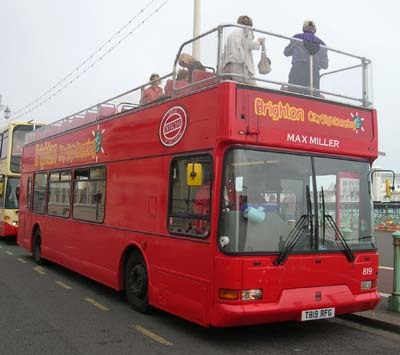 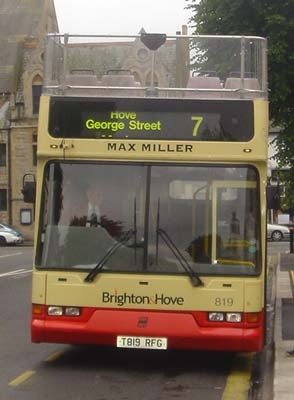 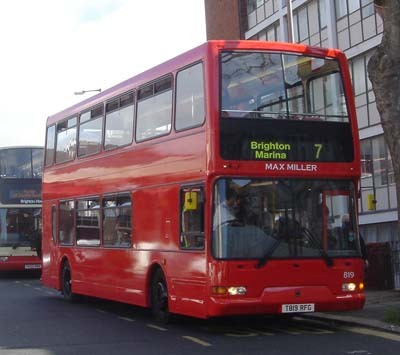 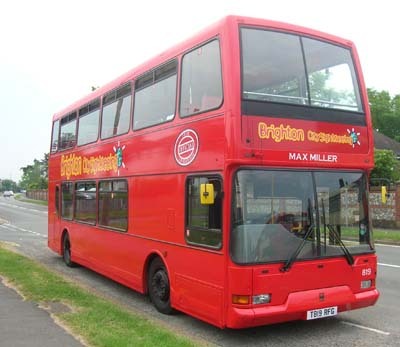 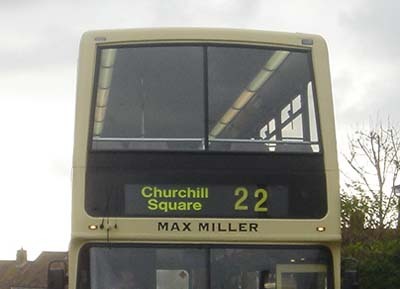 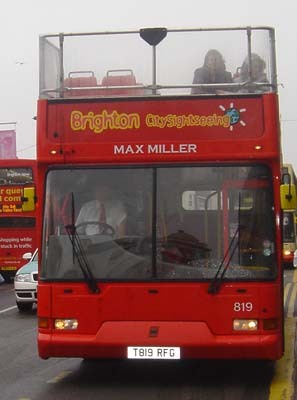 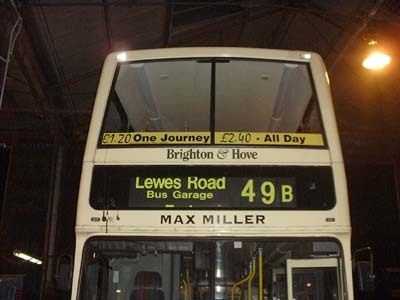 Max Miller moved to bus 808 July 2009. 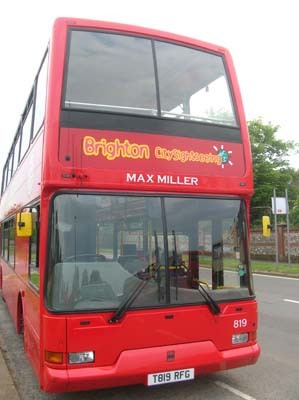 Name moved to 919 in February 2015 as 808 bus gets withdrawn.